Located just outside Shepherdstown, West Virginia, Wild Goose Farm is situated on 173 acres of idyllic farmland. 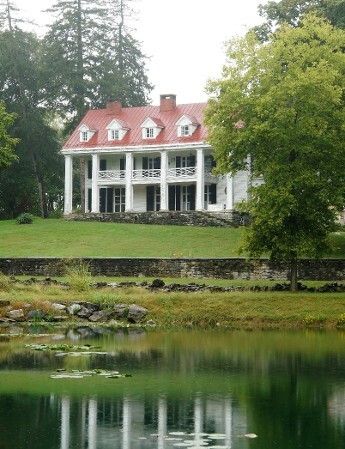 The property was originally owned and developed by the sons of Thomas Shepherd, founder of Shepherdstown. From 1838 until 1911, Wild Goose Farm was under the ownership of various members of the Shepherd family, which oversaw major construction phases resulting in a confluence of different architectural styles. Features of the mansion suggest Greek Revival influences, while others point to a New Orleans style which was likely informed by Rezin Shepherd's years there. Significant outbuildings include a cut stone springhouse built in a style reminiscent of a Greek temple, a stone smoke house/meat house, a stone and frame carriage shed, and a brick ice house. Different sections of the farmstead are divided by retaining walls, stone fences, and small roadways. The farm retains much of its historic character, including the iron gate with the "Wild Goose" name, as well as the goose weathervane atop the barn. In 1911 the property was sold to engineer Edwin Jarrett (known for his work on the Holland tunnel in New York), who was responsible for the Colonial Revival additions. The farm has changed hands several times since Mr. Jarrett's death in 1940; however, the essential character and use of the property have not changed. The manor house continued to be used as a retreat by later wealthy owners, including NASA engineer Robert Moss in the 1960's as well as former West Virginia Governor Caperton in the late 1990's. 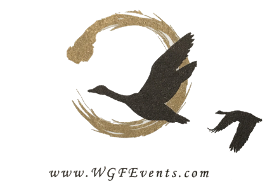 Since its beginning in the 1840s, Wild Goose has stood as an elegant backdrop of the genteel life. Now, let it be the setting for your special occasion.